We got to vend at the Camarillo Ink Anniversary Party this weekend. It was also my wedding anniversary. Been married to Carlos (of Beenznrice fame) for 11 years! WOW that went by so fast! Here’s to many, many more! I also design and write for ART! 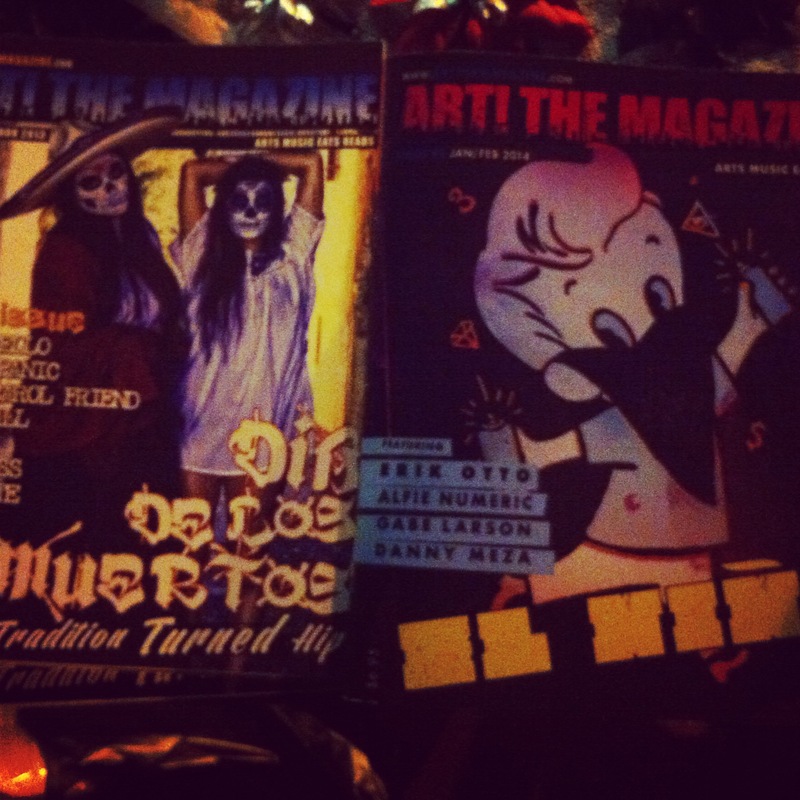 The Magazine! Issue 4 is available now (I will post a list of locations soon) and I got to see Issue 5 in print as a test copy on Saturday night. SO EXCITED! Here are a few pics from the event. To see them all, CLICK HERE.